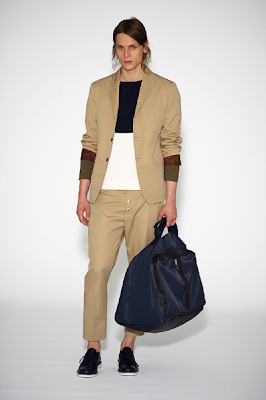 At Marni, Consuelo Castiglioni kept to classic colors and relaxed fit. 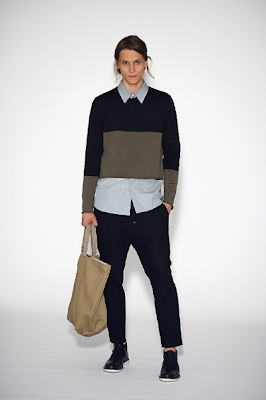 The tan and black striped sweater is especially cool as is the kinda cropped navy and grey sweater. 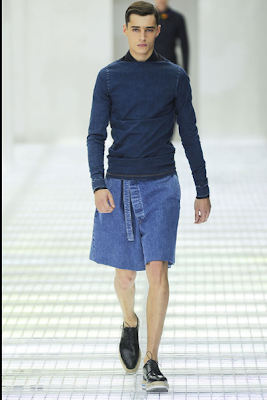 I'm really into the fact that the whole look is so easy and kind of normal-masculine, which is a little out of the ordinary in the men's collections *cough*dressesatComme*cough*. 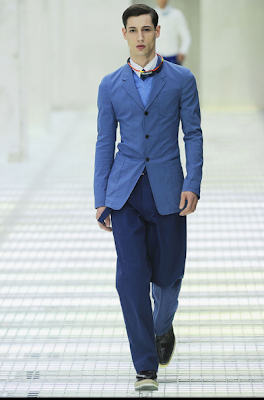 Meanwhile at Prada, Miuccia works magic with denim and beautiful different shades of blue. 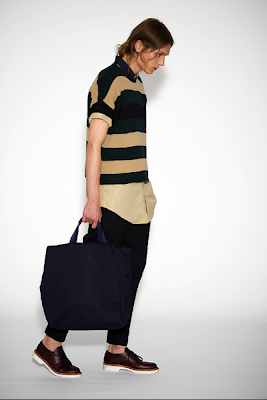 like the marni collection. 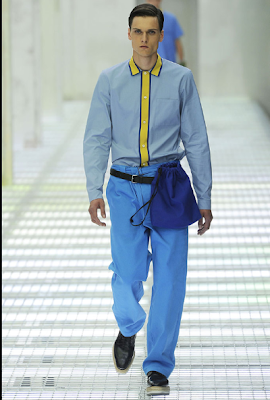 but miuccia prada... the collection reminds me of jil sander in the 90s, but prada proves once again that she knows how to take an idea further. very italian chic. this collection is actually exactly what i would love to wear. 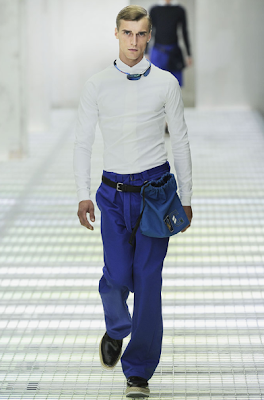 Those fanny-packin-heat pouches are ah-mazing! Ive been loving neutrals lately!